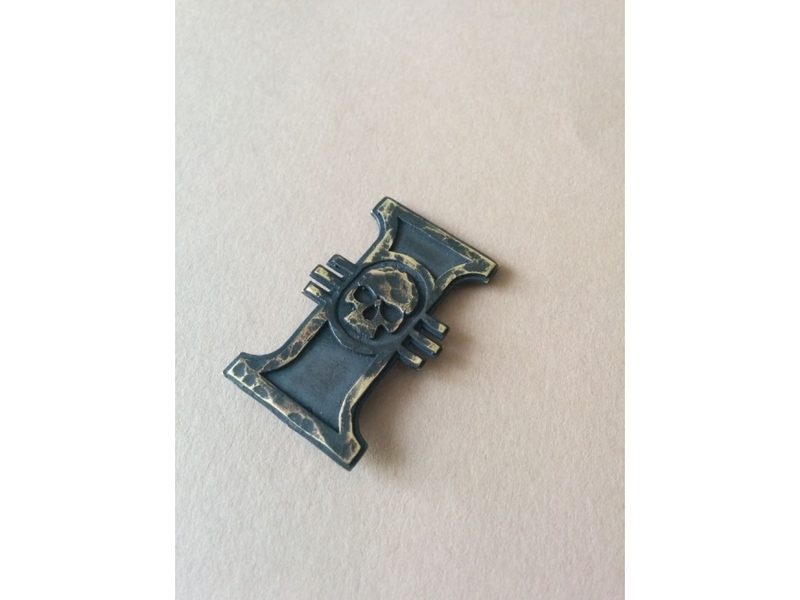 This is Warhammer 40K Inquisition pin. It is made from brass. Every item is hand hammered to have antique look. Every item is unique and has a bit different texture. The dark color is made using oxidation solution and it does not wear off. 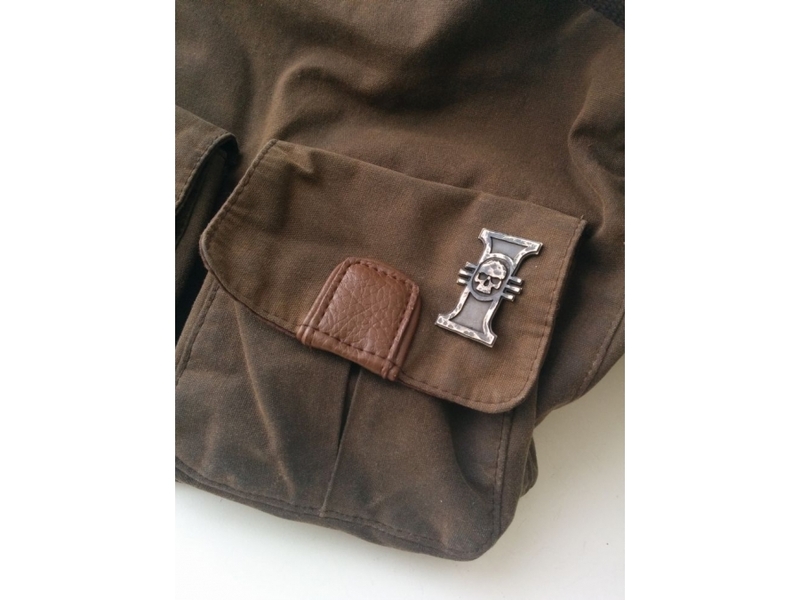 The Inquisition (The Holy Orders of the Emperor's Inquisition) is a secret organisation that exists outside the standard administrative hierarchy of the Imperium of Man. The Inquisition acts as the secret police force of the Imperium, hunting down any and all of the myriad threats to the stability of the God-Emperor's realm, from the corruption caused by the Forces of Chaos, Heretics, mutants and rebels, to assaults from vicious alien species like the Tyranids, Orks or Dark Eldar. The Inquisition's infamous sigil was derived from the personal heraldry of Malcador the Sigillite, the Regent of Terra during the Great Crusade and the Horus Heresy and the second most powerful psyker in the Imperium of Man after the Emperor of Mankind himself. It was Malcador who first created the secret organisation that would later become the varied Ordos of the Inquisition at the start of the Heresy on the orders of the Emperor. The Master of Mankind had ordered the Sigillite to find a group of men and women of an "inquisitive nature" to search out the enemies of the Imperium, whether they lay within or without. 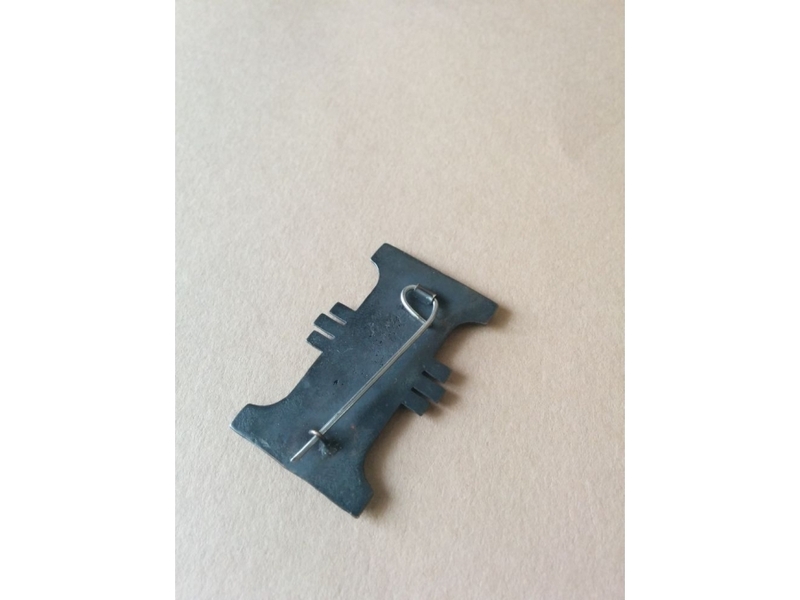 Comes with a chain. Is hand hammered, every piece is a little bit different.